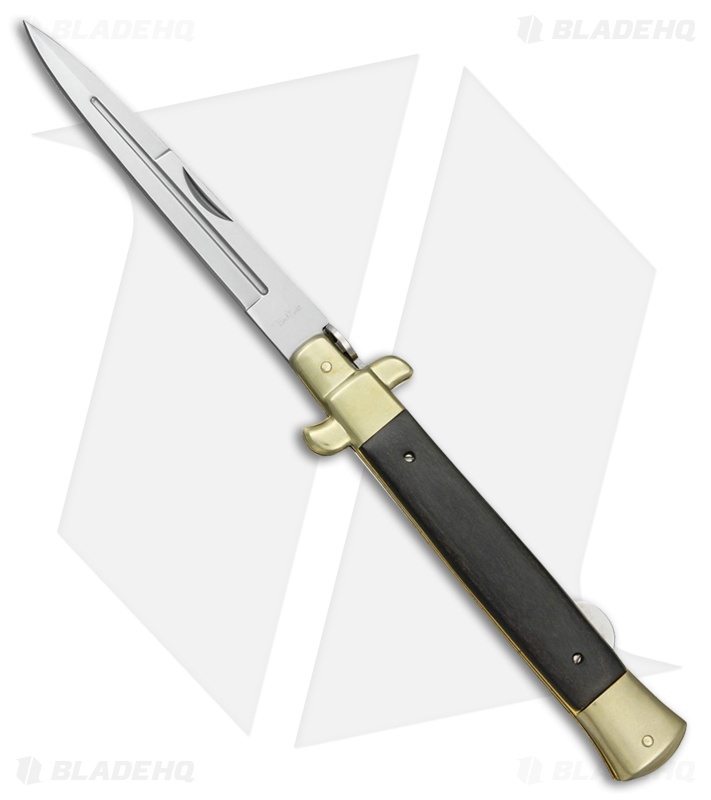 The Benchmark Large Stiletto manual knife has the look and feel of a traditional Italian stiletto but with a manual lockback design. The large 4.75" stainless steel blade is opened via the nail nick and securely locked in place with a sturdy lockback mechanism. Brass bolsters and pommel offset the smooth black wood handles.